It’s getting pretty hard to shop at Whole Foods without an Amazon Prime membership. The Amazon-owned grocery chain is adding curbside pickup for members of its $ 119 per year membership. Customers can shop Whole Foods’ selection in the Prime Now app or website, and they can have their groceries ready for pickup in just a half hour. Curbside pickup is launching in Sacramento, California, and Virginia Beach, Virginia, immediately with more cities to come throughout 2018, Amazon announced Wednesday. There’s a $ 4.99 fee if you want the groceries ready in a half hour, but it’s free if shoppers can wait an hour or longer for their stuff. Whole Foods will reserve parking spots for curbside pickup customers. Amazon is also integrating Alexa into the shopping experience. Customers can add food to their Whole Foods’ order (i.e. “Alexa, add steak to my Whole Foods cart.”) and have it included in their pickup order. Curbside pickup is Whole Foods’ latest Prime perk. Since Amazon’s $ 13.7 billion acquisition last year, Whole Foods shoppers are being offered a growing list of Prime benefits including discounts and delivery. Prime isn’t just for Whole Foods. It’s Amazon’s membership service. For a fee, subscribers are entitled to free two-day shipping on Amazon orders, exclusive discounts and access to Amazon’s streaming TV shows and movies. Ultimately, the goal of the Whole Foods perks is to get more people signing up for Prime, and to get existing Prime members into Whole Foods. 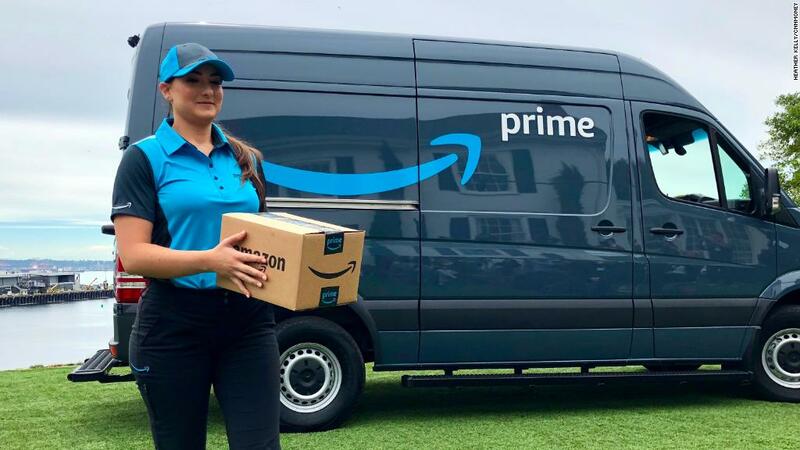 “They believe this locks in the customer and induces them to buy more from Amazon,” Scott Neslin, a marketing professor at Dartmouth’s Tuck School of Business previously told CNN. But Amazon needs to convince Prime members that a recent price hike from $ 99 per year to $ 119 per year makes the membership even more valuable. “Despite the price hike, we continue to view Prime as an essential service for many consumers around the world,” an analyst wrote shortly after the price increase in April. Whole Foods is a small player in the US grocery sector, accounting for just 2% market share. Offering perks and discounts could help the brand become more competitive. Its larger rivals, including Kroger, Walmart and Target, already offer curbside pickup but are also spending like crazy to maintain their lead. For example, Target bought a same-day delivery startup and Kroger just launched a direct home delivery service. Quest: Will Zimbabwe have more of the same after Mugabe?